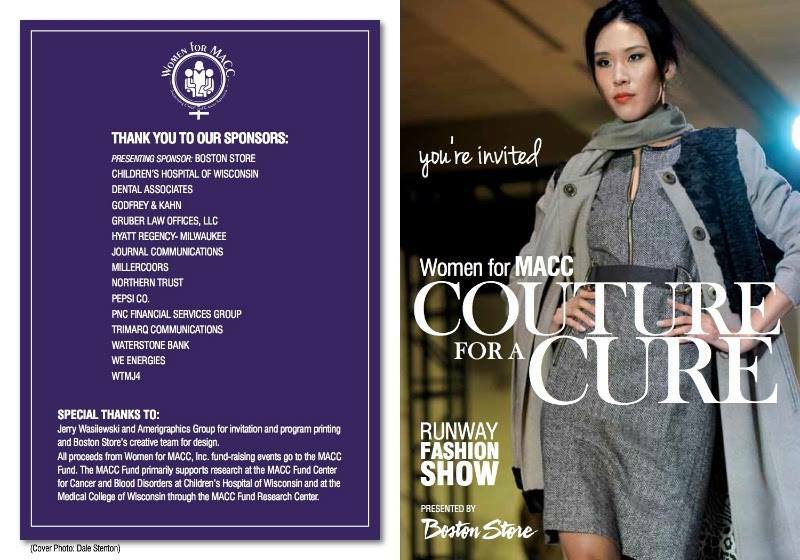 Women for MACC’s annual Couture for a Cure benefit takes place at the Hyatt Regency Tuesday, November 4, 2014, Â from 10:30 am to 2:00 pm. Fashion, food, and fund-raising for a great cause are always on the menu. Thanks to our partnership with Boston Store, Couture for a Cure is always a hit! There are limited seats left!Â Â Please contact Erin atÂ erinebrunell@yahoo.comÂ for availability. Get involved!Â If youâ€™d like to contribute to the event or volunteer, contact Laura at laura.hotopp@me.com.